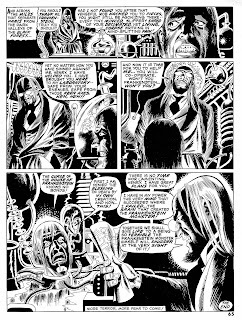 You liked him! 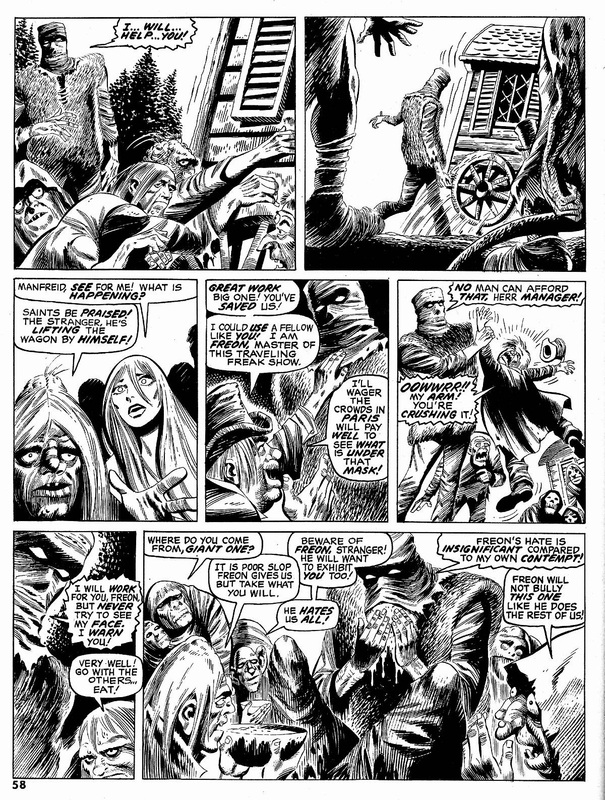 You really liked him! Three Black and White Wednesday's ago, Ol' Groove laid Tom Sutton's version of Frankenstein's Monster on ya, the the response was huge-amundo! 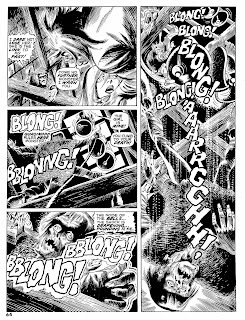 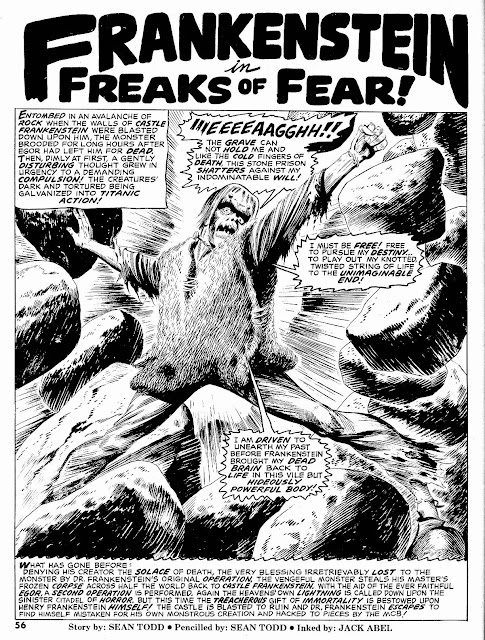 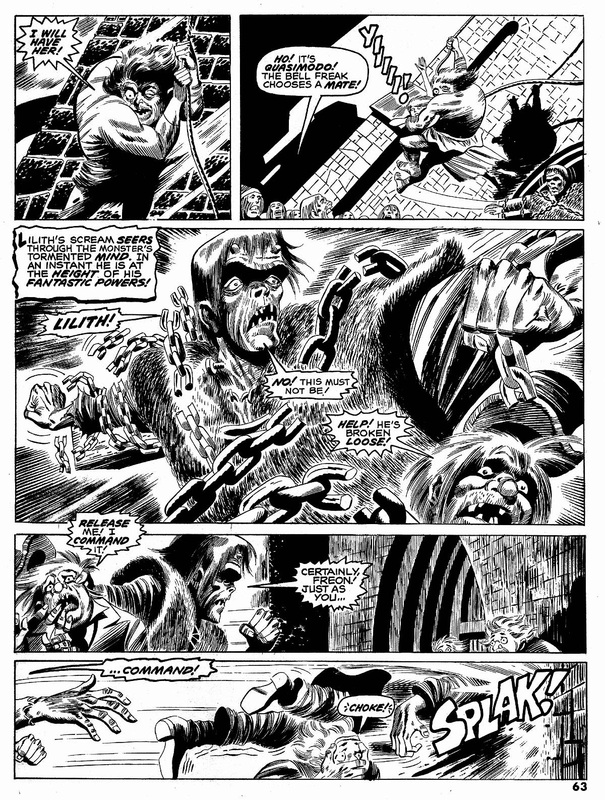 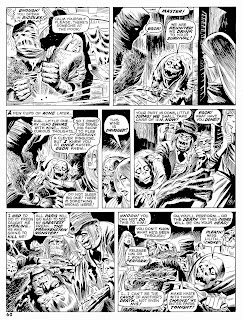 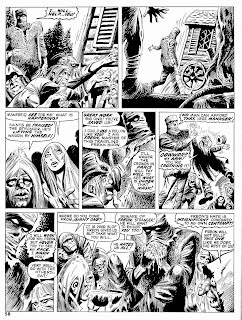 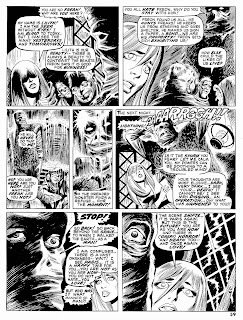 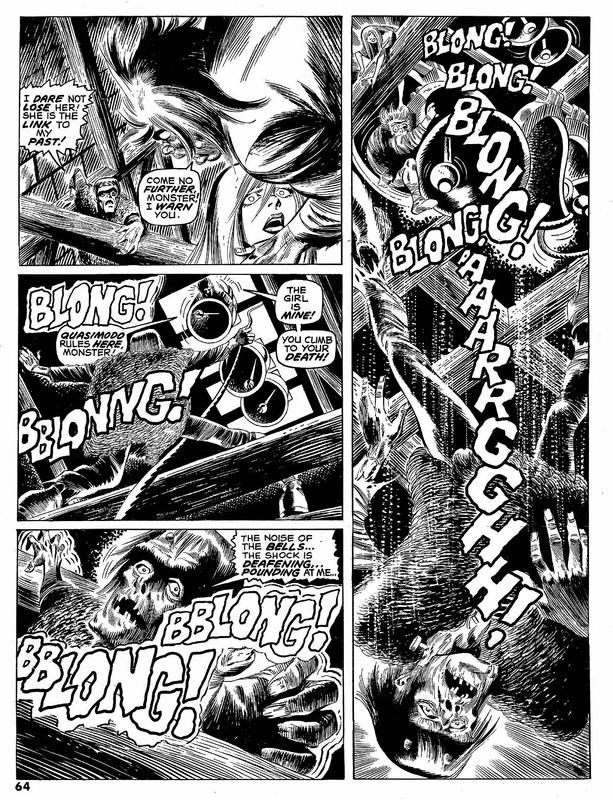 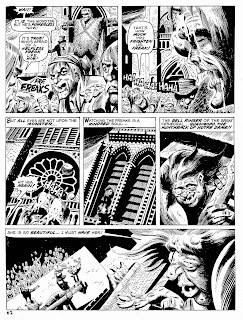 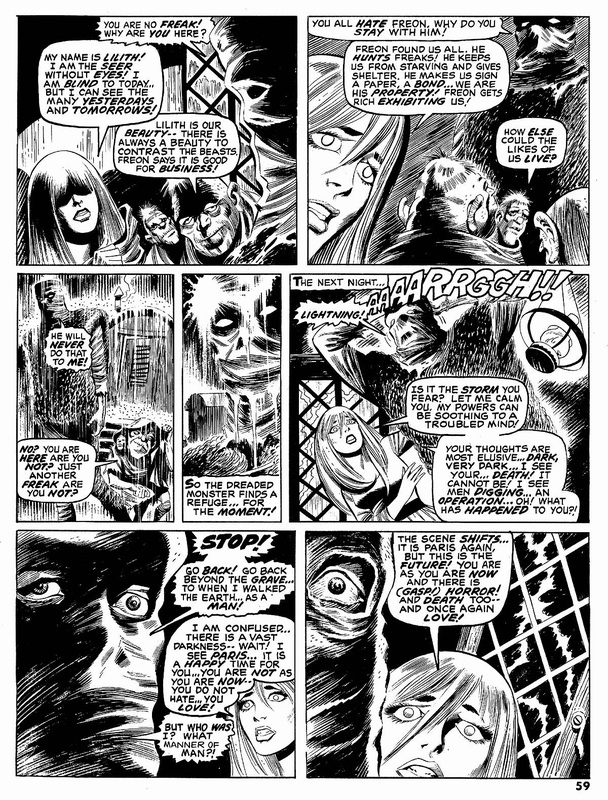 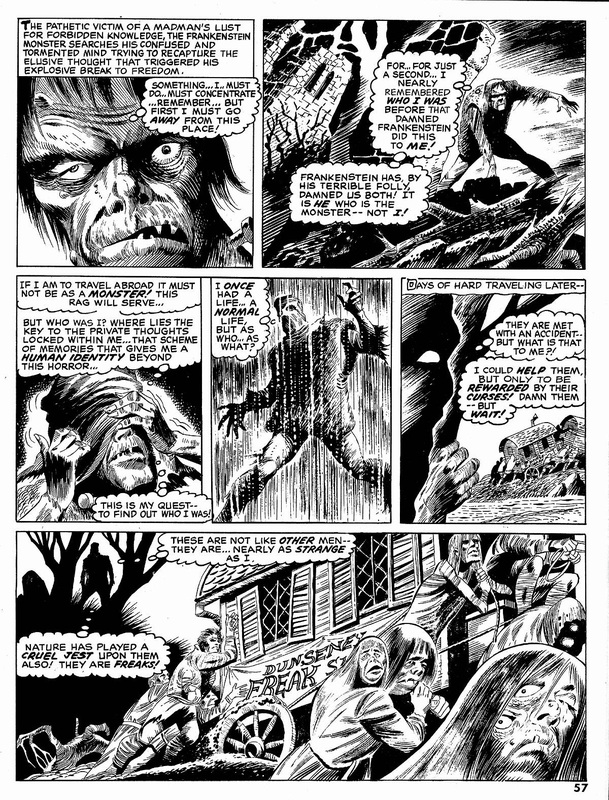 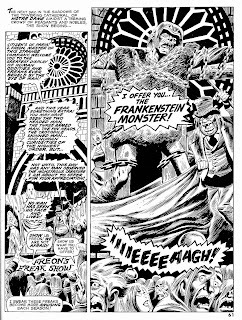 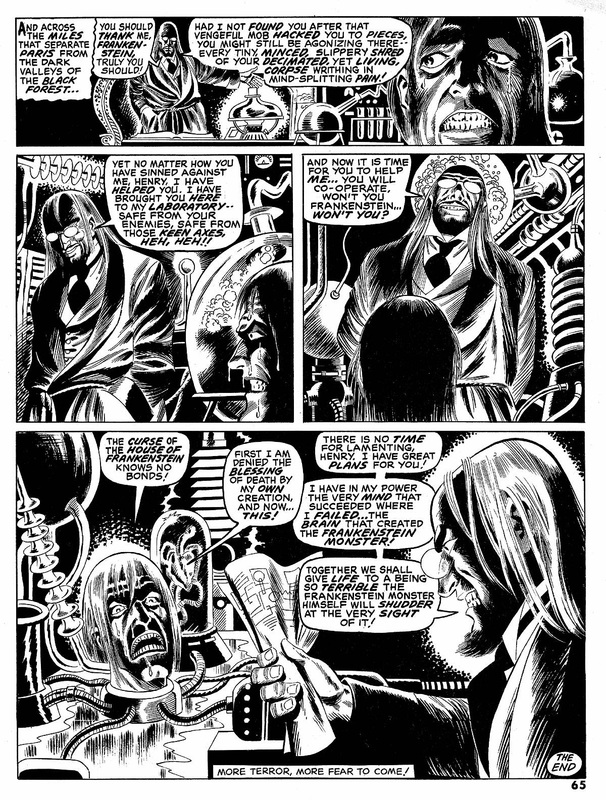 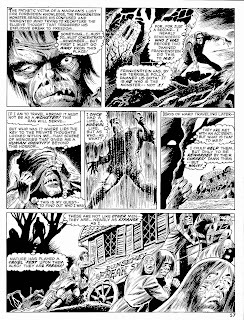 Seems Skywald's version of Mary Shelley's immortal monster hit Groove-dom where it lives, so without further ado, here's part two of Sutton's (under his Sean Todd monicker) version of The Monster (inked by Jack Abel) from Psycho Magazine #4 (July 1971)! Meet the..."Freaks of Fear!"